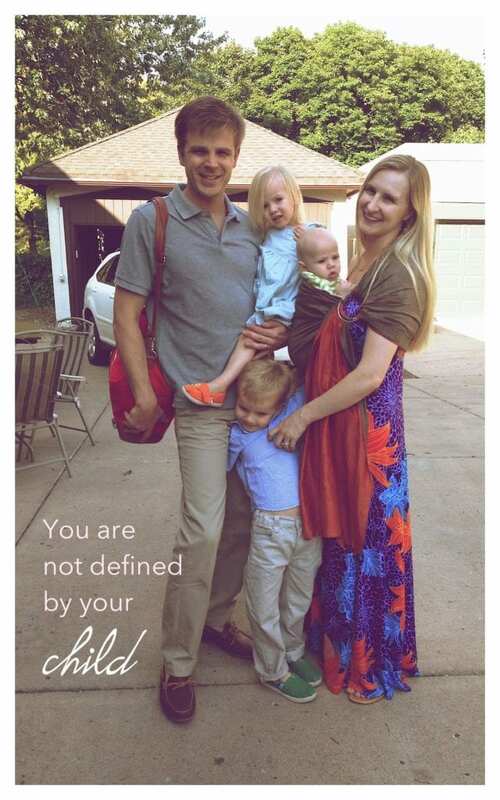 You are not defined by your children. Not the number of them. Not the age gap between them. Not their clothing choices. Not the state of their hygiene. Not the contents of their bowl in the morning. Not by how messy their hair is and how they rip out their pony tail holders all the time. You are not defined by your child’s naughty almost humorous meltdown in front of your entire group of older adult guests at a fundraiser. You are not defined by your baby’s eczema on his face that looked as if you’ve never lotioned him up before. You are not defined by your daughter’s low-weight gain, or petite status that looks as if you’re not feeding her enough. You are not defined by your son’s early speech, his quick ability with words, his apparent cleverness that also translates to terrible difficulty with not getting his way (long way to say tantrums). Nor are you defined by your baby’s big size and early movement, Mr. Plank, Mr. Pushup at 4 months, Mr. Scoot Around the Room on his Tummy. You are not defined by your once fashionable eye glasses that are bent and greased out of proportion. You are not defined by your “ironing pile” as in “grab it and quickly iron it before you need it pile” that is shuttered behind a closet door. You are not defined by your garden that never produced herbs this year, or its poorly produced tomatoes. You are not defined by the number of pieces of Halloween candy that you have eaten out of the deep freezer next to the laundry machines. Nor are you defined by the failed laundry attempts while busy eating said candy in a furtive fashion that resulted in RED CRAYON dye all over your load of whites. You are not defined by the frayed and frazzled state of your hair at the beginning and end of day. You are not defined by how few times you’ve worn high heels (or fashionable shoes) in the last five years, or listened to a new band aside from great kids music. You are not defined by your pre-baby wardrobe that really needs to be donated and freshened up but sits in sad little heaps in your closet instead. I grow into this mothering role better and better with each year, each baby. I resent the intrusion into “my” desires and “my” life less and less. I find time and schedule it, dammmmit, for me and what I need to feel human, that me pre-baby, that me underneath. But I do not and cannot let my needs and wants direct my life anymore. My soaring spirit, my adventuresome self, all turn toward mothering. What beauties can I share with them? What adventures can they experience? What can I provide for them? So we are all in this muddling mud pit of mothering together, we young mothers. I am trying to not define myself by my children, hang my easily bruised ego on their sleeves. And I won’t define you by yours either, instead, simply respect that you’re a person aside from your kiddos, when they’re great and when they’re atrocious. Perhaps this is my letter to me. And a promise to you, too. Nell, this was beautiful. And so needed. I can’t put into words any more than you’ve already said. Thank you. Pee puddles. When they dry, did they ever exist??? oh yes! some days this is so hard to remember. I needed this. Thank you! It’s so hard to see through our greasy glasses to know this to be true! I need to work on convincing myself of this. So often I feel like I am defined by what my kid can and can’t do. But that’s just him as a person not necessarily what I did or didn’t do. It’s so true! They are different people than we are. Truly, differentiated after the umbilical cord is cut. 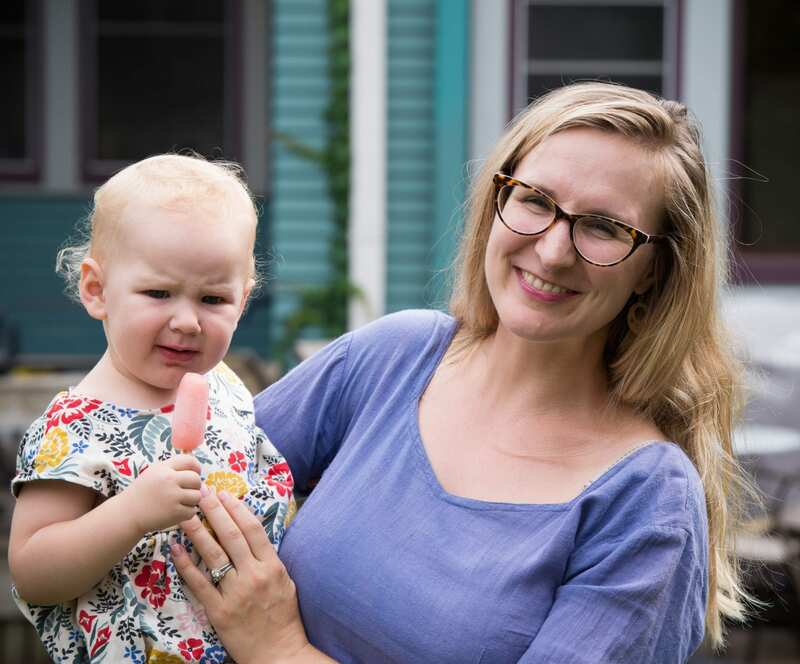 I know it takes them a while to physiologically differentiate and psychologically know they’re out of the womb (those first three months are called the 4th trimester for a reason), but they’re not a mirror of our failings and triumphs. They are themselves. Oh, yes. This. I am the same person, only less selfish now. God knows I need a LOT of work, so he’s given me a lot of high-needs kids. I suppose if I ever learn my lesson, He’ll give me an easy baby! Whew–God is a toughie!! I’m pulling for you, too!! I’m glad to know I’m not alone. Seriously, the same treadmill of thoughts about the wet spot on the sheets, scream fighting before I intervene, the last time I nursed, etc run through my head as well. Thanks for telling me I am not defined by those things because sometimes I feel like I am or made to feel that I am defined by these things (especially when it comes to the number of children we have and how their spaced). We have three children ages 3 and under, and I get so many comments and questions that, quite frankly, are nobody’s business. I feel reaffirmed by your post. Thanks again! Yours was a good reminder for me that I can still be me. It just may be in unexpected ways. This is great Nell! I very good and needed reminder! Thanks for sharing!